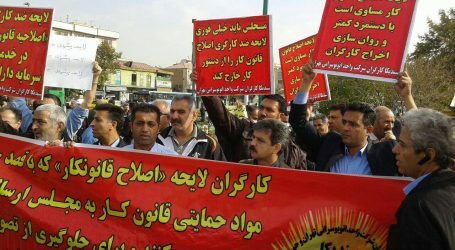 The repressive forces of the Islamic of Republic Iran have arrested more than 40 workers after two consecutive days of brutal raids on the homes of the striking workers of the Ahvaz Steel Complex. About 31 workers were arrested at about 2 am, Monday, December 17, 2018 and at least another 10 workers were arrested on December 18, 2018. 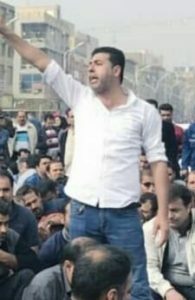 During these arrests, the regime’s forces, using violent tactics, beat some steel workers in front of the eyes of family members and seized their personal belongings, including their cell phones. 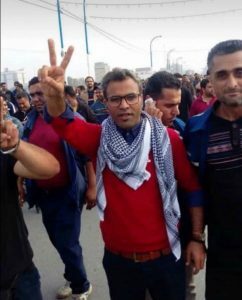 Following these arrests, police forces and the Revolutionary Guards seized parts of Ahvaz city this morning to prevent the gathering of striking workers. Nevertheless, a large group of workers, under the siege of the invading forces, continued to protest and called for the release of their arrested colleagues. 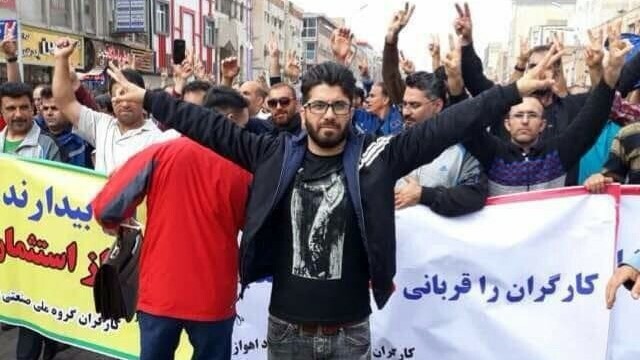 The security and intelligence forces are using the same tactics they used against Haft Tapeh sugarcane workers where they arrested striking workers’ representatives and then started a campaign of intimidation and fear amongst other workers. Meisam Ali Ghanavati, 2. Esa Mar’ie, 3. Amin Alavani, 4. Morteza Akbarian, 5. Taregh Khalfi, 6. Massoud Efri, 7. Jafar Sobhani, 8. Mostafa Abiat, 9. Gharib Havizavi, 10. Hossein Davoudi, 11. Karim Siahi, 12. Hamed Baseri, 13. Hafez Kan’ani, 14. Hamed Judaki, 15. Kazem Heidari, 16. Yaser Ebrahimian, 17. Majid Janadeleh, 18. Kuroush Esmaieli, 19. 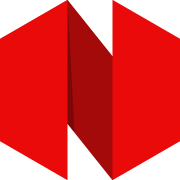 Ali Oghaba, 20. Mohsen Balouti, 21. Mohammad Pour Hassan, 22. Mohsen Behbahani, 23. Seyed Habib Tabatabaie, 24. Jasem Roumazi, 25. Ali Etmami, 26. Seyed Ali Javadpour, 27 Javad Gholami, 28. Abdolreza Dasti, 29.Seid Ahmed Seid Noor, 30. Fariborz Sheikh Robat, 31. Ehsan Yousefi, 32. Hosein Asarekeh, 33.Meisam Al Mehdi, 34. Seyed Majid Mousavi, 35. Amir Dehghan, 36. Ahmad Bavi, 37.Behzad Alikhani, 38. Seyed Mostapha Mousavi, 39. Majid Jalali, 40. Arash Mohammadpour, 41. Behzad Shahbazi. IASWI once again strongly condemns the arrests of the striking steel workers and call for their immediate and unconditional release.